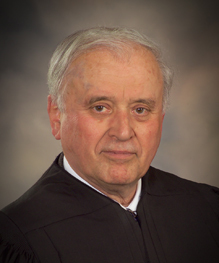 Judge Serra to retire Jan. 9 – Welcome to Wyandotte Daily! Wyandotte County District Court Judge Robert Serra will retire Jan. 9, after 16 years on the bench. Serra graduated from Pittsburg State University and the University of Kansas School of Law. He enjoyed a number of professional pursuits in the legal field before becoming a district judge. He served as a first lieutenant in the U.S. Army. He was an assistant county attorney, a municipal judge for Kansas City, Kan., president of the Kansas Municipal Judges Association and in the private practice of law for many years. Serra said that retirement is bittersweet, as he has enjoyed serving as a district judge. He has no specific plans other than to spend more time with his wife and family, dedicate more time to his collections, and to travel. Proud that my father found a friend like you Bob. Your accomplishment in life and Friends. Hope you and family stay healthy,and travel a lot. Proud to know you.